Amazon CloudFront is a fast content delivery network (CDN) service that securely delivers data, videos, applications, and APIs to customers globally with low latency, high transfer speeds, all within a developer-friendly environment. At launch, CloudFront China has Edge locations in Beijing, Shanghai, and Zhongwei. These three Edge locations are connected by private network directly to AWS China (Beijing) Region operated by Sinnet and AWS China (Ningxia) Region operated by NWCD for speedy content delivery to viewers in China. CloudFront works seamlessly with services, including AWS Shield for DDoS mitigation, and Amazon S3, Elastic Load Balancing, or Amazon EC2 as origins for your applications. You can get started with the Content Delivery Network in minutes, using the AWS tools that you're already familiar with: APIs, AWS Management Console, Command Line Interface (CLI), and SDKs. Amazon's CDN offers a simple, pay-as-you-go pricing model with no upfront fees or required long-term contracts, and support for the CDN is included in your existing AWS Support subscription. The Amazon CloudFront content delivery network (CDN) is massively scaled and globally distributed. The CloudFront network has 169 POPs (158 edge locations, and 11 Regional Edge Caches) in 68 cities across 29 countries, and leverages the highly-resilient private backbone network for superior performance and availability for your end users. CloudFront China is isolated from the AWS global network but currently has POPs in Beijing, Zhongwei, and Shenzhen, all of which are connected by private network directly to AWS China (Beijing) Region operated by Sinnet and AWS China (Ningxia) Region operated by NWCD. We plan to add more POPs throughout 2019. Amazon CloudFront is a highly-secure CDN that provides both network and application level protection. Your traffic and applications benefit through a variety of built-in protections such as AWS Shield Standard, at no additional cost. Amazon CloudFront China is integrated with AWS services such as Amazon S3, Amazon EC2, and Elastic Load Balancing. They are all accessible via the same console and all features in the CDN can be programmatically configured by using SDKs or the AWS Management Console. Lastly, if you use AWS origins such as Amazon S3, Amazon EC2 or Elastic Load Balancing, you don’t pay for any data transferred between these services and CloudFront. Amazon Prime Video uses Amazon CloudFront to deliver solid streaming experience to more than 18 million football fans. Canon uses the CDN to enable better user experience. King uses CloudFront to deliver game content to a global user base. Slack Uses Amazon CloudFront for secure API acceleration. 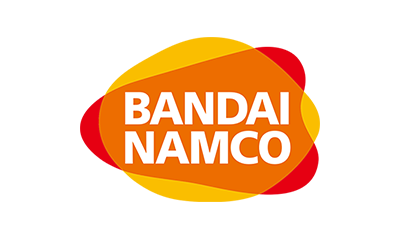 Bandai Namco uses the CDN to deliver games around the globe. 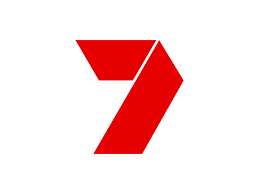 Seven Networks used Amazon' Content Delivery Network (CDN) for the live video streaming of the Australian Open to millions. 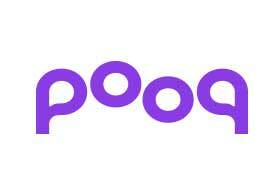 Pooq is only content provider in Korea that provides real-time, cloud-based broadcasting and on-air video on demand (VOD) through the over-the-top (OTT) platform using Amazon CloudFront. TVNZ is New Zealand’s leading free-to-air TV provider, using CloudFront to bring news and entertainment coverage to more than two million New Zealanders every day. The Amazon CloudFront CDN offers multiple options for streaming your media – both pre-recorded files and live events – at sustained, high throughput required for 4K delivery to global viewers. For on-demand streaming, you can use CloudFront for multi-bitrate adaptive streaming in Microsoft Smooth, HLS, HDS, or MPEG-DASH formats to any device. To broadcast a live stream, you can use CloudFront to cache the media fragments at the edge and collapse multiple requests for the manifest file to reduce the load to your origin. CloudFront integrates seamlessly with AWS Shield Standard for Layer 3/4 DDoS mitigation. In addition, CloudFront negotiates TLS connections with the highest security ciphers. You can also use our advanced feature like Field-Level Encryption, to protect the most sensitive data throughout your enterprise, so the information can only be viewed by certain components and services in your application stack. CloudFront also integrates with AWS Identity and Access Management (IAM) to control access. Amazon CloudFront can be used to secure and accelerate your API calls. CloudFront supports proxy methods (POST, PUT, OPTIONS, DELETE, and PATCH). With CloudFront, TLS connections with clients terminate at a nearby edge location, then CloudFront uses optimized AWS network paths to securely reach your API servers.